A man lay dead in a tent for up to a year before being found, police have revealed. 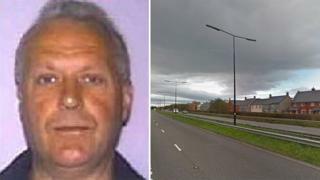 The body was discovered near Weston-super-Mare, Somerset, on 15 August last year, but efforts to trace his next-of-kin have been unsuccessful. Documents were found with the man but he has not been formally identified. Inside the tent, which was found near the A370, were a newspaper dated August 2016 and a driving licence and birth certificate. “It would appear he had been dead for up to a year before he was found and due to the condition of the remains it has been extremely difficult to establish for certain who he is,” PC Henderson, of Avon and Somerset Police, said. Mr Henderson added that extensive enquiries had been made but had not come to fruition, hence the public appeal.